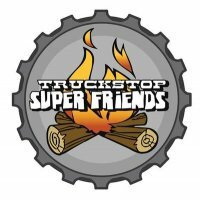 TRUCKSTOP SUPER FRIENDS, are a 2 piece, acoustic guitars/vocals act, brand new to beautiful Victoria! We are able to perform for a full night (3-4hrs) or join up for multi-act events!?! We mainly perform original material, but have an impressive catalog of covers as well. We have performed across Canada the last couple years, but are excited to be settled in Victoria and recording our second self-produced album! We are really looking forward to performing on a regular basis around town, starting in the new year! Anyone interested in checking us out, or helping us find our groove in the local scene, please take a minute to check out our website, which includes music, videos, shows, etc... Thanks!